Covent Garden is, to many tourists, the centre of London. The square around which fellow tourists gather – pausing from a day’s shopping, watching the street performers or just passing through and soaking up the ambiance. Its many side streets are filled with both excellent little restaurants and cafes and over-priced tourist traps. 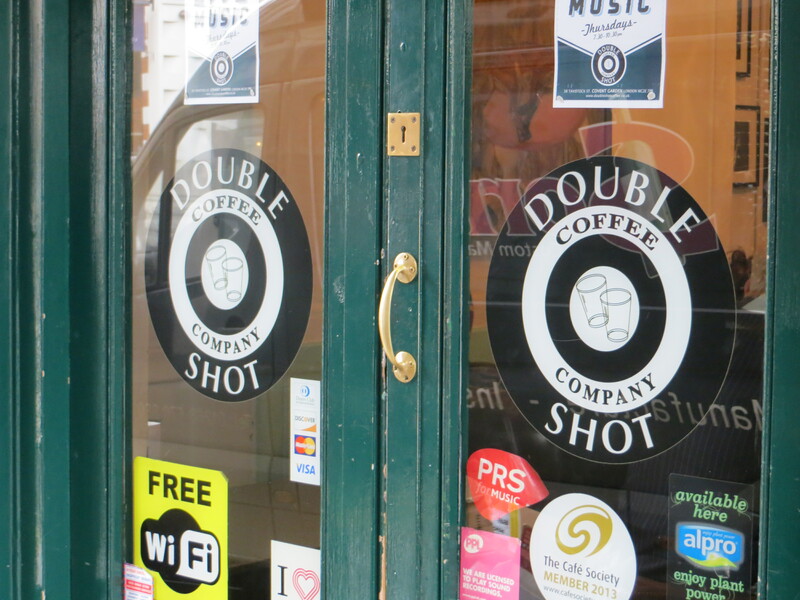 Double Shot Café is, fortunately, in the former category. 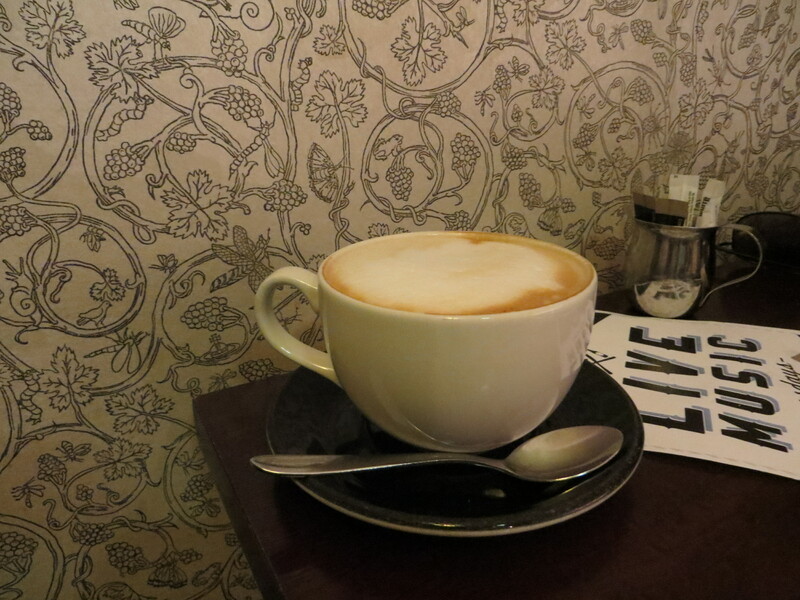 Off one of the streets running from the central plaza, this café is a great little place serving excellent coffee. Serving Union Hand Roaster Coffee, this was a tasty cup of Joe. A light foam topped the warm coffee. I’d have liked a thicker, creamier foam but it was flavourful, hot and a good double handful of a serving. It comes in Covent Garden prices though at £2.80 for a regular and £2.90 for a large. 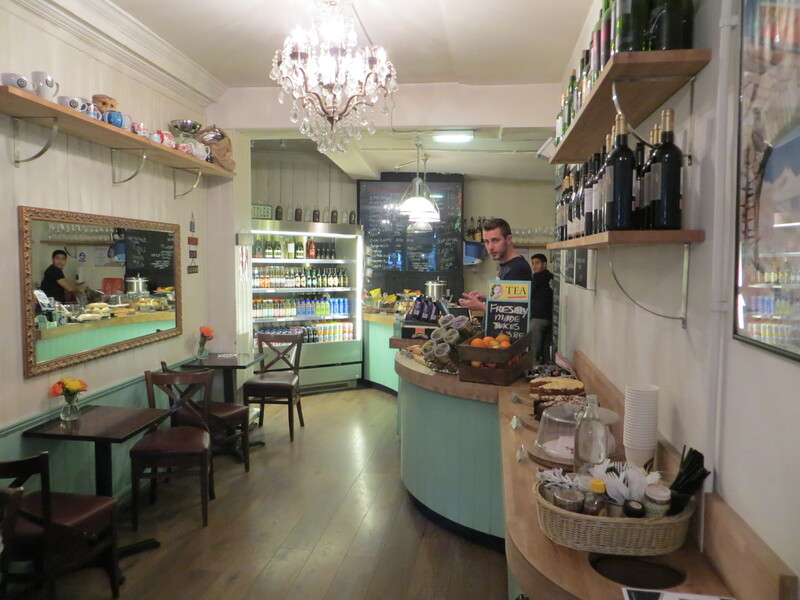 As you walk in, you will find a nice, airy café with a tempting selection of food laid out ahead of you. There’s something of the old British tea rooms but in a good way. However, with limited seating it gets full pretty quick and your other option is the basement. Which hasn’t been done out as nicely. It’s a bit dark with a few chairs thrown in. They should have either gone all out and done something with this area or left it alone. At the moment, it’s neither here nor there. The usual café selection – just baked goods and sandwiches. Pretty uninspired but it all looked tasty enough. Even tucked away in the forgotten basement, we got our coffee delivered down stairs. Good stuff. Live music, Wifi and a loyalty card help this feel like it could be somewhere in a small suburb, not in the centre of town. There’s a lot to recommend this place, especially with its central setting, but it feels like a few more tweaks here and there could really make this place one to visit.